Peaceful, green surroundings as a backdrop, combined with the gastronomic discovery of our local products, the Relais 500 de Vienne is the ideal hotel for your evening stopovers or your getaways, whether alone or with the family. It is also a place full of history that we would like to share with you. 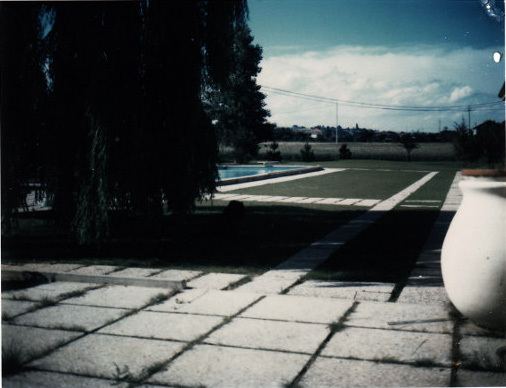 Mr. Bélanger, who was Canadian, decided to establish a motel south of Lyon in 1959, as a stopover for motorists travelling between Paris and Cannes. With a plan for an American hotel in his pocket, he decided to settle along the Nationale 7 in Chonas l’Amballan. His plan was revolutionary for the time, with full bathrooms and spacious rooms and the car parked just outside the room. 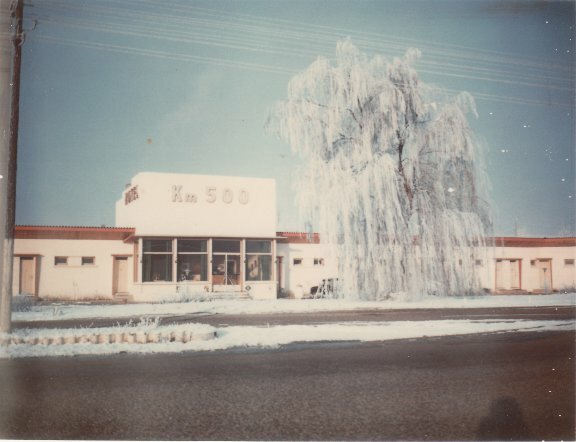 At that time, the establishment was called “MOTEL KM 500.” Mr Bélanger remained there until late 1965. In 1966, Mr. Claude Courant decided to enter the hotel business after a career in telemechanics. He had to learn the profession very quickly. In 1969, he was joined by Mrs. Courant, and they were a couple embarking on a great adventure. 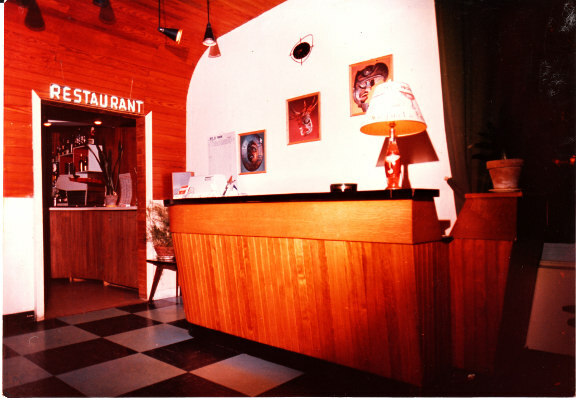 A small restaurant, a creperie, was created in 1968. At that time the Nationale 7 was a very busy road, and the Motel had its own service station. On 25 January 1970, I came to the Motel for the first time in a bassinet. With the facility increasing in capacity, the main building saw the addition of a dining room. An 18m x 6m swimming pool also appeared to the delight of young and old. The establishment is made up of two buildings, the hotel and the motel. Numerous changes and improvements took place each year with a lot of work. In 2006, a disease took my mother, leaving behind an inconsolable son. 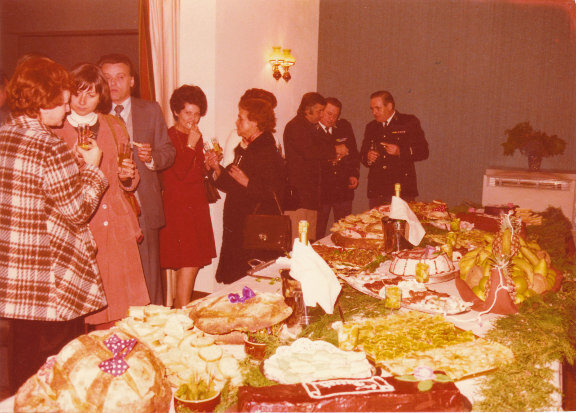 Our oldest customers have years of memories of an unconventional and very endearing house. The patriarch decided to throw in the towel (legally, but not really in his mind). At the same time, the Motel is 50 years strong and I’m alone in command with my wife Rose Marie. 2007 Reception desk, seminar rooms, and their access ways renovated. Fire safety standards implemented. 2009 Air conditioning and LCD TVs installed in the hotel building. At the same time, the Motel turns 50 years old. 2011 18 hotel rooms and bathrooms renovated, double-glazed windows installed, and corridors renovated. 2015 Nationale 7 entry redeveloped. Construction areas are a common site, thanks to my friend the State, who is always full of ideas when it bears no cost, who requires us, in these times of crisis, to strengthen fire safety to a new classification, to meet the requirement of making our facilities accessible to anyone with a disability (very legitimate and very complicated to put in place). Our family has been in this house for 47 years. So you can understand if we are attached to it. History will decide if Bryan or Kendrick will want to follow suit and carry on the family tradition. Ideas and projects never fail to continue to illustrate the peaceful saga of this local institution, under the benevolent eyes of my father and my mum, who monitor me from their paradise. And yet there are plenty of projects to come in 2016 to celebrate the 50 years, or a half-century, of our family being at the head of this magnificent establishment.